When handling an IBC (or other large container) it is often necessary to elevate and position it above a process. Accomplishing this with forklifts or overhead cranes can be inconvenient, unsafe and unsanitary. To deal with these kinds of installations, IEDCO has developed a line of Post Lifts which permit the handling of IBCs and other containers in an easy, safe and precise fashion. Almost always, the right solution to meeting the drum handling challenges of a project lies in a custom designed piece of equipment, whether it’s a Post Lift, Drum Lift & Inverter, or a Drum Fill Station. 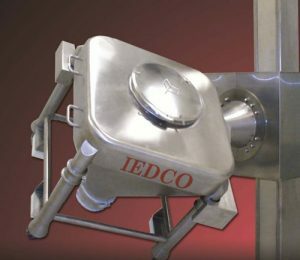 IEDCO is flexible in our attitudes and our designs to help you meet your drum handling challenges. Again, this is where the full service capabilities of IEDCO can be an important part of providing you with the complete response to your needs. 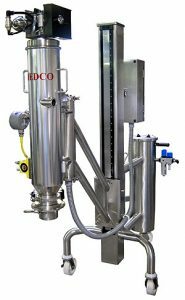 The IEDCO Pneuma-Lift was designed to handle smaller payloads using a compressed air cylinder lifting mechanism. 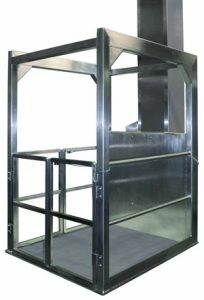 Just like our standard Post Lifts, the Pneuma-Lift can lift, invert, swivel, and dock a variety of containers. When containment is a priority, the pharmaceutical, biotechnology, and even chemical and food industries are turning to plastic powder transfer bags for their single use efficiency and cost savings. 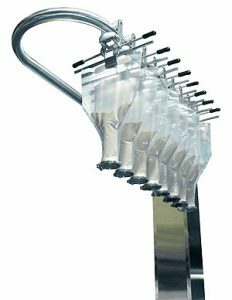 One of the inherent advantages of using an Intermediate Bulk Container (IBC) is that it permits the homogeneous blending of multiple ingredients without the need to transfer the material to and from another machine. This eliminates any segregation and cross contamination issues. Our line of Bin Blenders permits the easy loading of the IBC without a forklift.